The Alaska Tax Division estimates that cruise ship passengers visiting Alaska paid about $21.6 million in state fees this year. The state’s head tax is distributed among port communities that often use the revenue to fund local services. But a federal judge’s ruling could change that. Skagway is one of Alaska’s top cruise ship destinations. This year was a record, with 910,176 visitors arriving at the docks according to the municipality. To help pay for these services, Skagway draws from its share of the state’s $34.50 per passenger fee. The Commercial Passenger Vessel Excise Tax was approved by voters in a statewide ballot initiative in 2006. The cruise industry sued the state, but a settlement reached in 2010 compelled the state Legislature and then-Gov. Sean Parnell to approve a reduction in the excise tax, among other things. “(The CPV excise tax law) allows a city and borough to use the funds for port facilities, harbor infrastructure and other services provided to commercial passenger vessels and the passengers on board those vessels,” said Kris Curtis, the state’s legislative auditor. In 2016, her office probed how some municipalities used their share of the state’s passenger fee. There was some questionable spending: Skagway bought playground equipment; Ketchikan’s borough invested in the airport; Sitka funded construction of its downtown Centennial Hall. None of these things, the audit cautioned, were specifically tied to services for cruise passengers. That same year, the cruise industry sued the City and Borough of Juneau over its local passenger fees. Juneau’s fees, approved in 1999, predate the state’s CPV tax and in many ways served as a model. “What we were concerned about was that these fees had reached a level and were being applied to uses that far exceeded the direct benefit of the vessel’s operations,” said Jonathan Benner, Cruise Line International Association Alaska’s D.C.-based attorney for the lawsuit. A federal judge agreed with many of the industry’s arguments. Judge H. Russel Holland ruled on Dec. 6 that passenger fees should fund infrastructure that directly supports the ships. The City and Borough of Juneau has already spent $800,000 on its legal defense. City officials say they’re undecided whether they’ll appeal. But the judge’s ruling, left to stand, could have implications wider than just Juneau. The state attorney general’s office said as much in a friend-of-the-court filing last year. For reasons never made clear, it rescinded its brief a day later but its legal arguments remain in the court file. The attorney general’s office declined to comment other than a brief written statement. Curtis, who spent months auditing the state’s passenger fee fund, said the federal ruling is a potential game-changer. That’s because state law permits the fees to be improve passengers’ shoreside experience; the judge’s recent ruling says otherwise. In a budget approved months before the December ruling, about a third of Skagway’s municipal revenue will be drawn from state passenger fees. And Skagway isn’t alone. 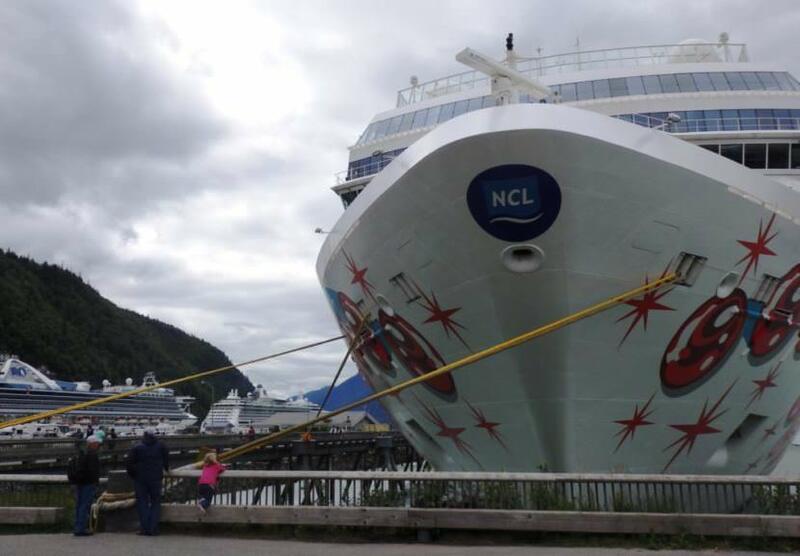 This year Ketchikan’s borough approved spending $2 million in state passenger fees on firefighters and EMS, public parks and bathrooms and the library — all services and facilities it argues are used by cruise ship visitors. Will these be permitted going forward? The cruise industry’s attorney said his client wants to be a good partner. That could give the industry some leverage over the budget priorities for port communities. As the cruise industry booms, projections are that 2018’s record passenger fee revenue of $21.6 million will be topped in 2019 — giving local governments, auditors and lawyers that much more money to tussle over.